Jeremy Curtin served as the coordinator of the Bureau of International Information Programs beginning in April 2007. Curtin earned his B.A. at the University of Toronto and went on to get a Ph.D. from the University of Virginia. 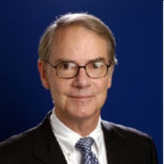 Curtin joined the Foreign Service in 1975 and served at U.S. Embassies in Finland, Poland and South Korea. He served as Executive Secretary for the U.S. Delegation to the Stockholm Conference on Disarmament in Europe, where he helped to strengthen military cooperation between NATO and the Warsaw Pact. In 1986 Curtin returned to Washington, DC, serving as Director of International Programs on the National Security Council staff and later as Special Assistant to the Deputy Secretary of State, with responsibility for democracy programs in Eastern Europe. From 2002 to 2005 Curtin served as Senior Adviser and Executive Secretary to the Under Secretary of State for Public Diplomacy and Public Affairs.